Today Weebles Wobblog turns 2! It was on this date in 2007 that I gave birth to this creation, 435 posts ago. I have chosen for my Appalachian Trail name Lavender Luz. Please leave me a present. Tell me if there has been a post that has had a lasting effect on you. Let me know what it was and why you have remembered it. That will be a truly wonderful gift for me, each generating a perfect moment. Thank you! Perfect Moment Monday is more about noticing a perfect moment than aboutcreating one. 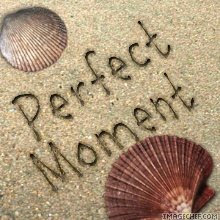 Perfect moments can be momentous or ordinary or somewhere in between. We gather here once a week to engage in mindfulness about something that is right with our world. Everyone is welcome to join. Details on how to participate are at the bottom of this post, complete with bloggy bling. Once you make a Perfect Moment post, you can place this button on your blog. Now. What Perfect Moment have you recently been aware of? Be sure to visit these moments and share the bloggy love. Happy 2nd Blogoversary Lori! I honestly can’t pick just one. Your series about Tessa’s reunion was incredible. And the posts with your pottery are just wow! And…. I could go on and on. How can it be two years??? Happy blogoversary, love! Gee, Lori, picking my favorite post out of your posts is really hard. The open adoption series about Tessa really touched me and opened my eyes about family. Your invitation to PMM and continued fostering of this is wonderful. Knowing you are there is precious. Lori — I really like all of your writing, insights and humor. One post that stands out in my mind is one you did on your birthday that talked about the person you have been at different ages. It was a very clever way to reflect on your life path. If you could find that post and give me the link again, I’d like to read it again. XO — thank you for your blog Lori! Oh Lori – two years old! Congratulations – and here’s to many more. I loved your open adoption series both as an educational tool I might not have learned otherwise and as a resource to send people your way when they are in need. My favorites were the ones re the reunion for Tessa. Those were very very cool. Happy blogoversary! Happy Blogaversary, Lori! Im so glad we have connected over blog-land: you are such an incredible resource, friend, writer and mother. And I love your Appalachian Trail name! I agree with everyone above – the series about Tessa meeting her birth father was incredible. It really showed the complexity of open adoptions and the depth of your love for Tessa. But for some reason, one of the posts I think about the most is the one about your diaries. In a way, it made me realize it is okay to record small thoughts and not always massive entries. Happy Blogoversary!! All the posts you have done on open adoption have been really eye opening for me and educational. If it wasn’t for your blog, we would have never met!! I can’t even remember how we first connected? All I know is from the very beginning, your wit, depth and resolve struck me! Happy bloggerversary! Since this is your second year what should we get you? Paper is for the first, and clocks are third, right? Should we get you stoneware? Bandwidth? What? And pick just one? There is no possible way to do that. No way. I think my all-time favorites are those that talk about the difficulties you’ve experienced in the adoption process. Tessa’s reunion with Joe, of course, but also Tessa telling you that she wished she lived with Crystal. I’ve learned so much about the upside of open adoption from you, but the picture would be incomplete without the downside. I think the posts you wrote about Tessa’s reunion are the ones that hit closest to home with me, so many of her feelings as a child were the same as mine as an adult in the same situation. Returning to the well stands out in my mind, too. And the series on the birthfather reunion had me on the edge of my seat for DAYS. Happy, happy blogoversary to you, Lavender Luz! I have been so moved by so many of your posts, and I guess what stands out for me is not so much a single post, but your clarity and integrity that shines through in so much of what you write. You have a way of speaking your heart that can still me and take me out of my busy mind for a while and into my own heart and my own experience. Thank you so much for that. I love your series of posts on Tessa’s relationship with her birth family. It was great to read of someone experience with open adoption that makes it look fairly easy. Also there have been many times when I was feeling very down that you have commented and helped lift me up. thanks for that. What most effected me were your comments when I was in turmoil! You always had just the right thing to say, and it was never pat or trite or like anyone else. I loved the chakra series and how open you are about talking about the turns in life and coping with them. There have been many posts and I wish I had more time for a thoughtful answer. I love hearing you and Crystal and Tessa – like the returning to the well ones. I liked the one Sheri mentions too. Happy belated blogoversary!! I don’t think I can pick one post, but I love reading your personal stories on open adoption. Happy BLogoversary – I’m relatively new to your blog and I’ve enjoyed all of it! I think the thing that makes me keep coming back here is your heart. Your big generous wise heart. I love reading what you have to say on many things. It moved me deeply going back to your drama 2 be mamma blog and seeing some of the places you chose to share, the anger, the despair….. and seeing where you are now. It is deeply encouraging to me and I hope to be shaped similarly by this experience. Well, Lavender Luz, I would swear this blog is much older than two! Happy Blogoversary! I enjoy the honesty in your posts, particularly the ones regarding post adoption depression. I experienced something similar and felt validated knowing I was not alone. Happy two year blogaversary, Lori. And thank you for infecting me. 3) I’m going to have to do some digging to find the other one that beckons from my memory but doesn’t quite emerge. ooh, I almost forgot as I clicked publish that I love love love the post about you and your former selves — the birthday post. just beautiful. happy happy blogoversary, lavender luz! hope I’m not too late to the party. xo to you! and wine and chocolate too. The Tessa reunion series touched me the most. I was on edge every time, constantly checking the blog for another post. My, time flies. Happy second birthday m’dear. Hi, Lori! Sorry I’m late to the comment party, but as you know, I’ve been on vacation and unplugged. Oddly enough, I’m fully recharged after being unplugged. Ironic. Anyway, one of my favorite posts of yours is the one where you describe each of your selves meeting in a meadow on your birthday. I love that one. Wouldn’t it be amazing if when we looked back at old posts the blog changed to look the way it used to? I SOOOOOOO wish that were the case. Because just seeing you call it Weebles Wobblog made me nostalgic and that is for a time I wasn’t even around. I wish I could have known you then… ah the if only’s in life.